Treat customers differently and offer them products at flexible prices with the help of this Magento extension. 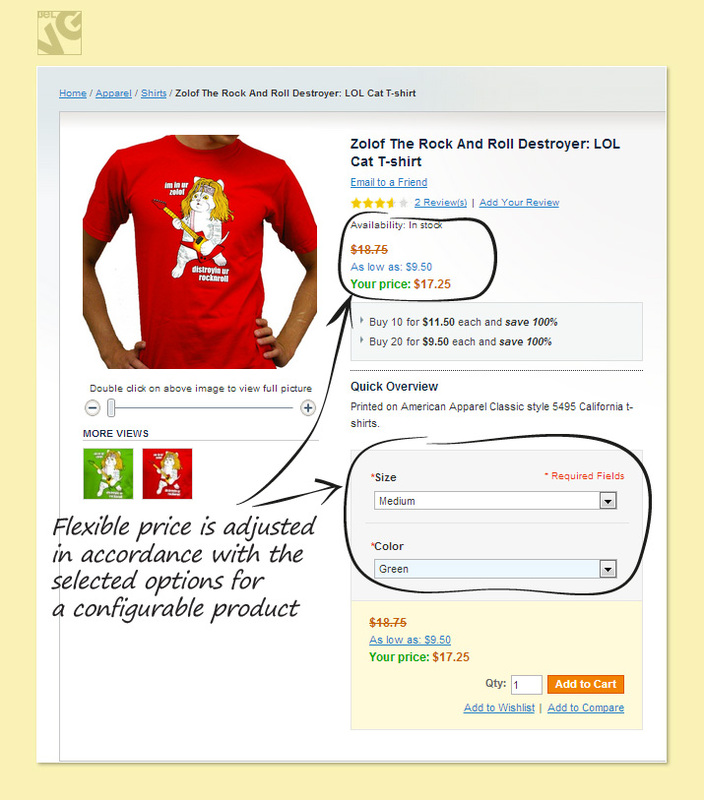 Choose individuals and assign groups of customers to display them different price labels of the same product. The price status can be limited by time or activated on a constant basis. Displaying product price upon registration. When do you need to install Magento Flexible Prices extension? Anytime, when you want to deal with customers, imitating real-life communication. Despite numerous advantages of eCommerce and its well-coordinated process of trading, it still lacks one important human factor – the opportunity to agree on prices, or bargaining. 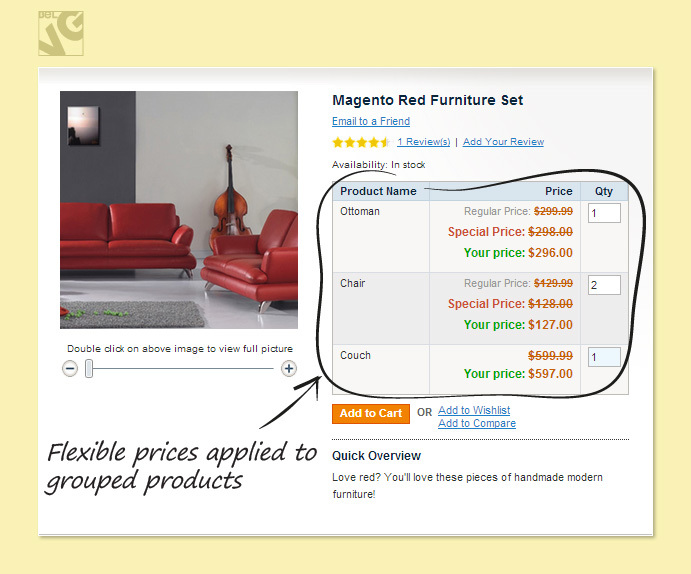 Magento Flexible Prices solves the issue. You may select clients and combine them in groups to show price visible only for them. Other customers will see other price values. Specify price duration for every customer by setting the date of its display or leave it without changes for a long time. Now let’s have a look at how the module actually works and how your flexible prices will look directly on your website frontend. Once you set up flexible prices for a particular customer or group of customers and saved your configurations the new prices will automatically become available online. They will show up both on category and product pages in accordance with the settings you have chosen. The module also supports and allows working with configurable products: flexible prices will be automatically calculated and adjusted in accordance with the selected items and options. 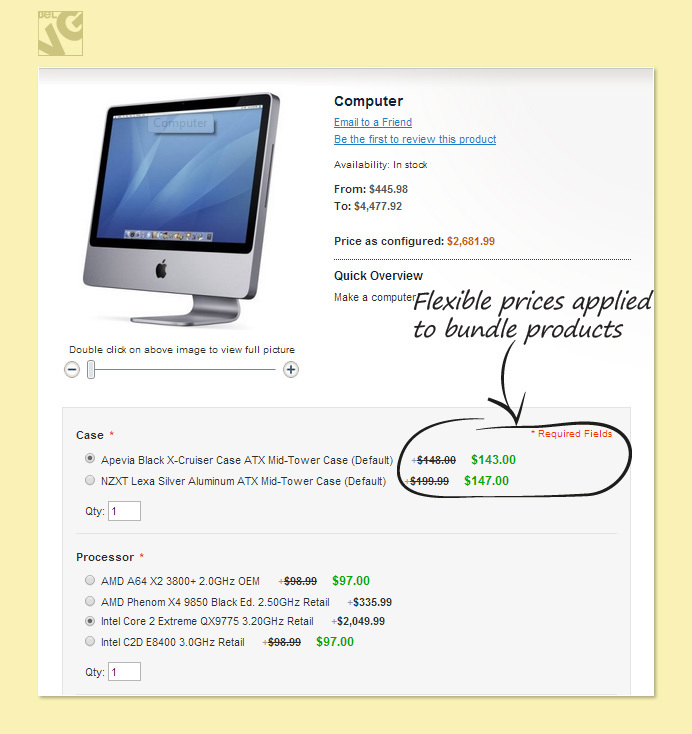 The same way flexible prices are applied to bundle and grouped products. Log in to the admin panel, and we will show you how to configure the extension step by step. To enable the extension, go to System -> Configuration -> Flexible Prices -> Settings on your Dashboard. Choose Enable. 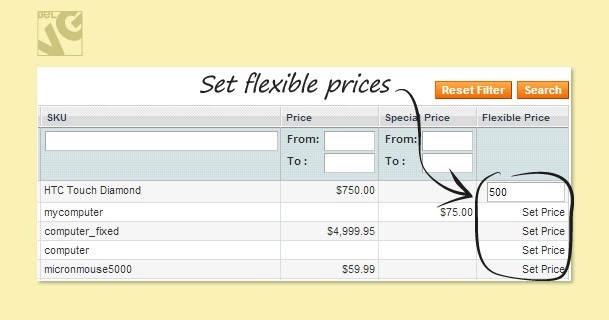 Flexible price text – enter the text you want to show up for your flexible prices. To assign flexible prices for an individual customer go to Customers -> Manage Customers. Here you will see the grid with your store customers. To assign a particular price to a customer click his name in the grid and go to the Flexible Prices tab on the left menu. There you will see the grid with your shop goods and items. In the Status field dropdown list choose Enable to switch on flexible prices for the selected customer. Date From and Date To fields allow you to specify the validity period for your special prices. If you leave the Date To field empty the flexible prices for this customer will have no expiry date. 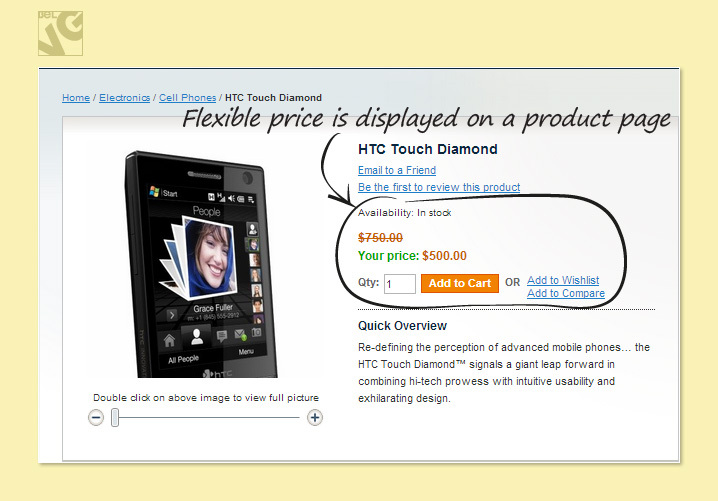 To assign a flexible price to a specific item simply click Set Price and manually enter the new price. 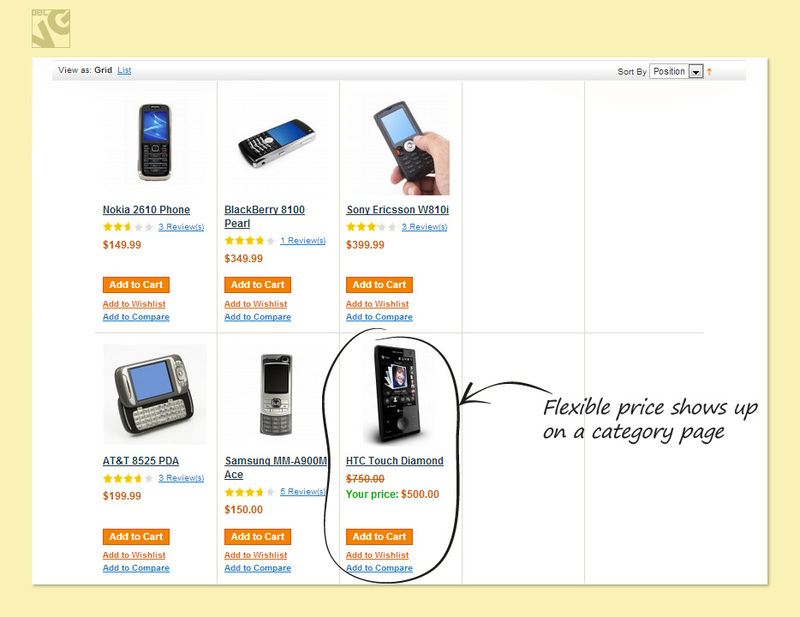 If you don’t specify prices for some users, they will see regular product prices. It’s the same logic to set prices for groups that you use for individuals. Move to Customers -> Customer Groups. Here you will see the grid with your store groups. Click the group name to assign it a particular price. In the Status field dropdown list choose Enable to switch on flexible prices for the selected group. Date From and Date To fields allow you to specify the validity period for your special prices. If you leave the Date To field empty the flexible prices for this group of customers will have no expiry date.